Without notice, the D.C. Truck Stop's Merch & Swag has been replaced by an online store run by Oak Creek. The deadline to pre-order Truck Stop jerseys is just around the corner -- Friday, September 2. 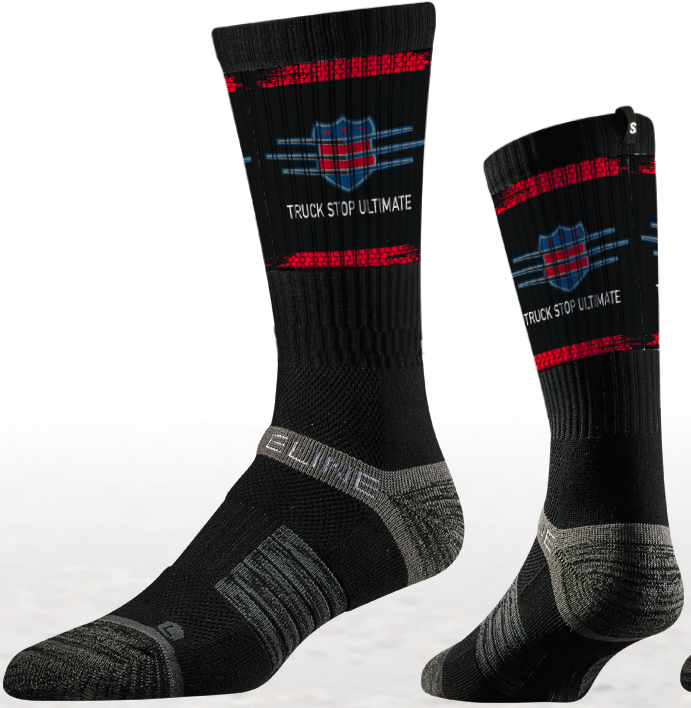 Front: "DC Ultimate" across the chest with the Truck Stop logo in the upper right. Very light tire treadmarks appear diagonally. Back: A 3-star 2-bar D.C. flag mashup with semis as the bars. 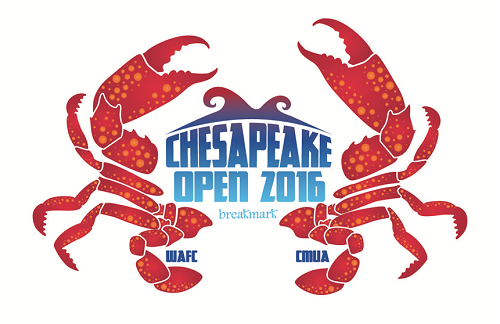 Cavalier sponsorship on the lower portion just above the team name. Front: Red DC-flag/Truck logo amalgamation across the chest. Truck Stop logo on right sleeve. Back: Cavalier sponsorship on the lower portion above Washington DC. 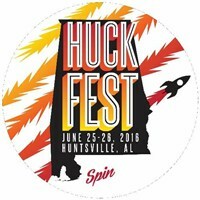 Consider some other Truck Stop while you have your credit card out. The inaugural US Beach Open is scheduled for November 2016 in Santa Monica. 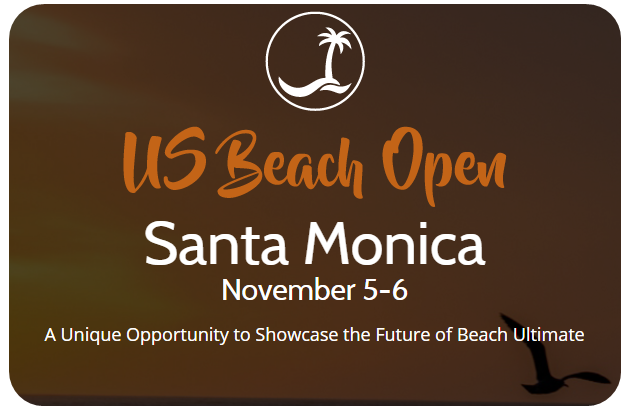 Info: The US Beach Open is a high level 4-vs-4 mixed gender beach ultimate tournament seeking to promote and be a proving ground for true gender equity on the beach ultimate field. 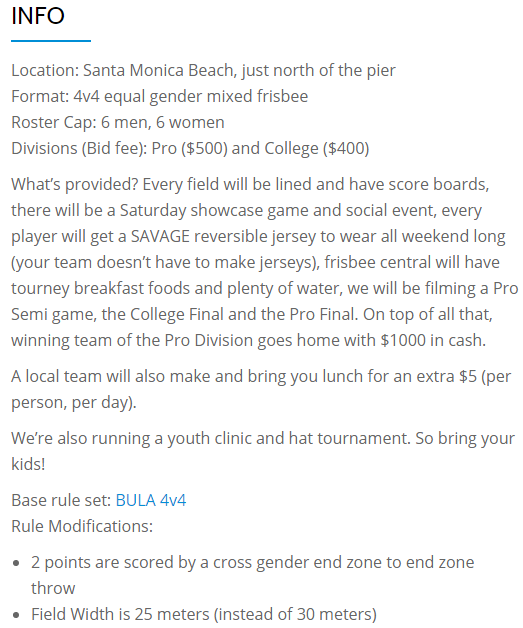 Our goal is to give players and fans of ultimate the opportunity to experience the mixed (2/2) 4-vs-4 beach game at a high level and see what a phenomenal iteration of our sport it truly is. 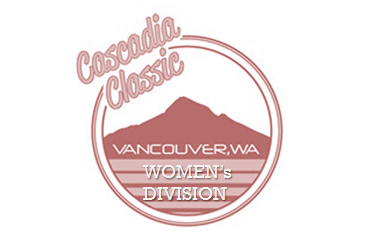 Two Mixed Divisions: College and Pro; seeking 16 teams in each division. Rosters are capped at 6 men & 6 women. 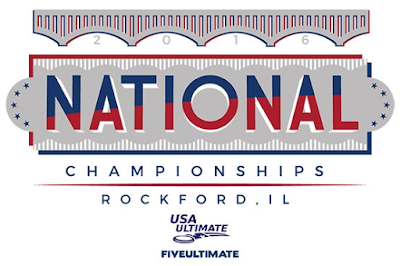 The 48 bids to Club Nationals were allocated to the 8 geographic regions. 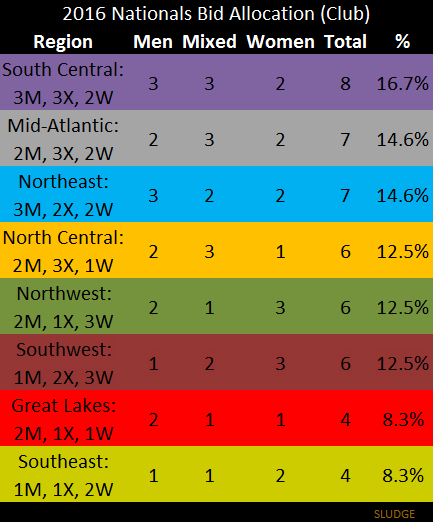 The South Central region with 2 bids in Women's, plus 3 bids in both Men's and Mixed is the top region in bids. 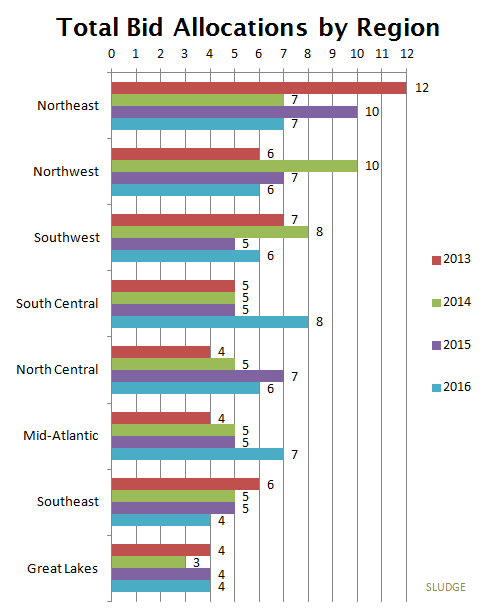 Compared to last year, the South Central region increased their bid total by 3 teams (~43%). For the first-time in TCT history (since 2013), no region was allocated more than 3 bids in any division. 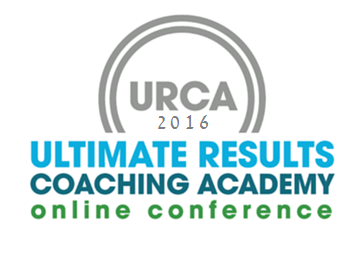 The 2016 Ulty Results Coaching Academy (URCA) online conference starts up today. 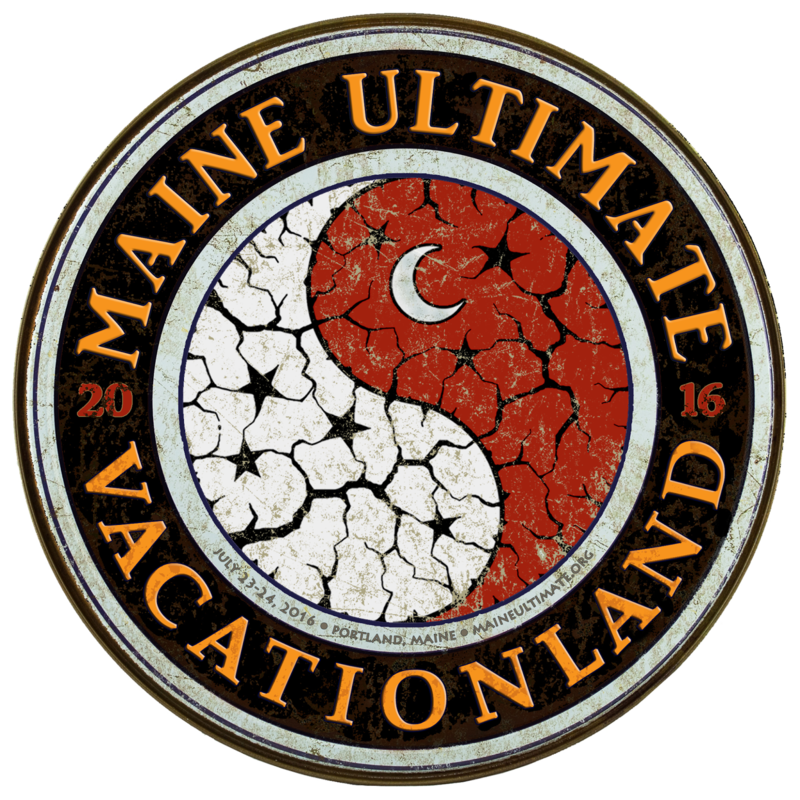 Registration is free giving virtual attendees access to quality presentations from experienced presenters from the ulti community. Not cited in the E.R.I.C. 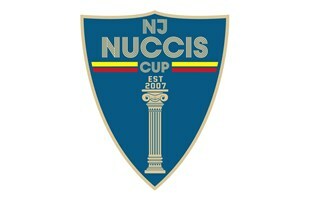 tour details is the overlap with AUDL cities. According to the list of Am-E.R.I.C-an tour locations, the clinic plans to visit American Ultimate Disc League cities. 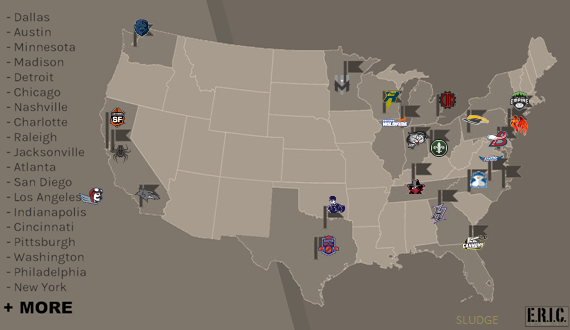 Though, the map shows 20+ locations including 3 stops in North Carolina while there are just Charlotte and Raleigh AUDL teams. 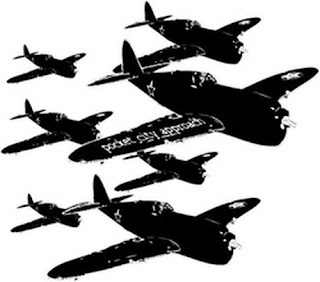 E.R.I.C. 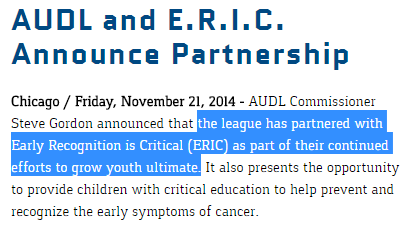 and the AUDL have a partnership that was announced in November 2014. Back in August 2016, The Economist published an article about how tech leaders stayed fit. Mentioned was Sergey Brin who known as an enthusiastic ultimate player. 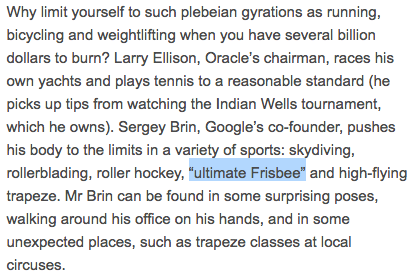 The ultimate reference from the article:"Sergey Brin, Google's co-founder, pushes his body to the limits in a variety of sports: skydiving, rollerblading, roller hockey, "ultimate Frisbee" and high-flying trapeze." 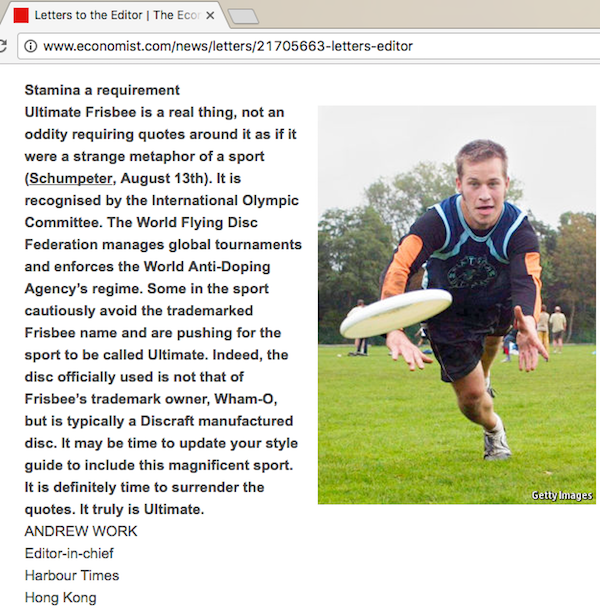 The double quotation marks used with the words "ultimate Frisbee" did not sit well with Andrew Work, Editor-in-chief of Harbour Times (Hong Kong). So, he wrote this matter-of-fact Letter to the Editor which The Economist published on August 27th. Ultimate Frisbee is a real thing, not an oddity requiring quotes around it as if it were a strange metaphor of a sport (Schumpeter, August 13th). It is recognised by the International Olympic Committee. The World Flying Disc Federation manages global tournaments and enforces the World Anti-Doping Agency's regime. 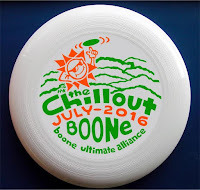 Some in the sport cautiously avoid the trademarked Frisbee name and are pushing for the sport to be called Ultimate. 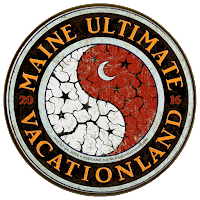 Indeed, the disc officially used is not that of Frisbee's trademark owner, Wham-O, but is typically a Discraft manufactured disc. It may be time to update your style guide to include this magnificent sport. It is definitely time to surrender the quotes. It truly is Ultimate. A compilation of USA Ultimate tournament logos from the Triple Crown Tour's club ultimate 2016 season. 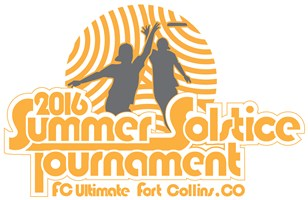 The American Ultimate Disc League announced their MVP of their 2016 season. A player who needs no introduction(?)... Dylan Tunnell. 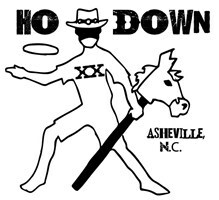 Tunnell won the award over Jimmy Mickle (Dallas Roughnecks), Mischa Freystaetter (Jacksonville Cannons), Mark Burton (Seattle Cascades) and Peter Graffy (Madison Radicals). He becomes the first AUDL South player to win MVP honors. 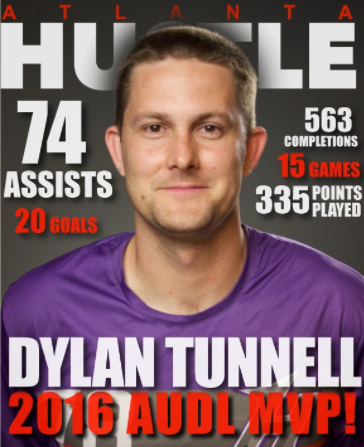 As the AUDL pointed out, Tunnell is only the 3rd player to win MVP honors in the 5 seasons of the league. I met with Dylan to recruit him before our 1st season. We discussed many things. He had moved from Open to Mixed and was spending more time on family than ultimate. He was forthcoming with his skepticism of pro ultimate. He is wholly committed to the ideals of spirit of the game. He believes in self officiation and was hesitant, but not against, playing with referees. 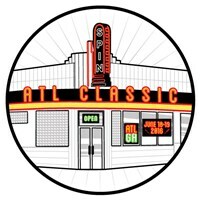 What I told him was that this was an opportunity because, as part of the Hustle, he would be in a position to influence the direction of our franchise, ultimate in Atlanta, and pro ultimate. I know that was a more significant draw to him than competing in front of a crowd, in a big stadium, or getting paid (I think coach Miranda Knowles joined our staff in part for the same reason). In his two years with us he has taken that role seriously and had a lasting impact on our culture. He's single handedly converted like 8 people into Magic players. Dylan is a firefighter and EMT. He usually works 24 hour shifts. He routinely gets off a shift at 7am and hops in a van for a roadtrip. This year on Memorial Day weekend we hosted the Roughnecks. He was unable to get his shift covered. He was conflicted because he feels a deep obligation to his teammates. This was a big game for all of us and he wanted to be there for them. So he cleared with his bosses to have his unit stationed at the stadium during the game. He was going to play but his partner was on the sideline ready to pull him if they got a call. They were backups so they were only supposed to get called if another unit was already responding to a call. Dylan warmed up and, sure enough, he has to leave right before opening pull, but too late to make a roster substitution. He missed about 10 points, maybe the whole 1st quarter, but he came back. First point in he threw an assist to Vickroy (without much of a warm up either). He had to leave again at the end of the 4th quarter with the team down 3. He played only 14 points but had 4A. For me, this is an example of Dylan's character. He is driven by a strong sense of duty and responsibility in all aspects of his life. When Dylan found out that he won he laughed. He gave all the credit to his teammates. Of note, Dylan Tunnell won the MVP at the 2011 USA Ultimate Club Championships amongst open (men's) teams as a player for Atlanta Chain Lightning. 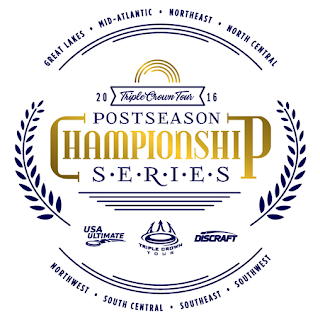 After the Roughnecks won the 2016 American Ultimate Disc League championship, the Dallas team was to receive the AUDL trophy after they were presented with their prize money ($20,000); Kurt Gibson had other plans. As the rest of the team posed for a photo with the large checks, Kurt spontaneously snagged the trophy off the AUDL Championship V table. As Kurt happily wags it in front of the cameras, you can hear AUDL Commissioner Steve Gordon hollering, "Not yet, not yet, not yet." 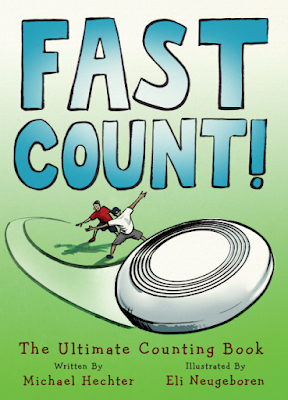 Following the wisdom of Crosby, Stills & Nash, here's a children's book for teaching them about counting. Oh, and introducing them to the most fun sport in the world....ultimate! As a way to help your child learn about numbers, Fast Count! is for you. This unique book—which makes for a perfect gift—is already a favorite at many SLUDGE households. Info: Learning to count from 1 to 10 is more fun when playing ultimate. This board book uses basic numbers to tell a rhyming story about the game of ultimate. Colorful illustrations were deftly crafted by Eli Neugeboren, an ultimate-playing parent from NYC. 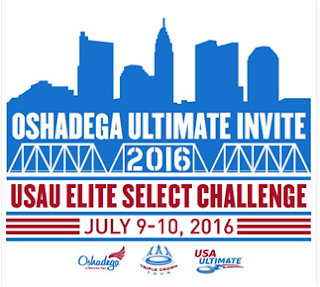 Words were penned by D.C. ultimate player and parent, Michael Hechter. 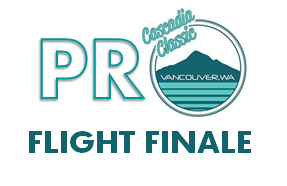 The Triple Crown Tour's Pro Flight Finale was played in Washington state last weekend. 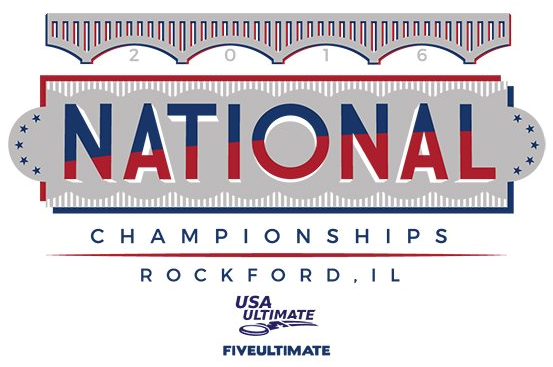 The results (below) as posted by USA Ultimate is the status quo expected from the accepted tournament weekend format when playing ultimate. However, the first-to-last listing lacks the context of the tournament; READ: boring. 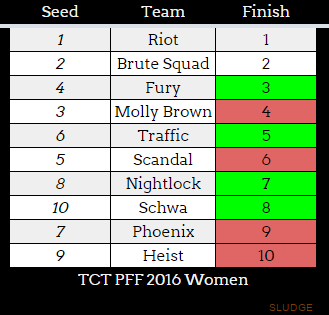 Team's seed should be posted in addition to the tournament's final results. 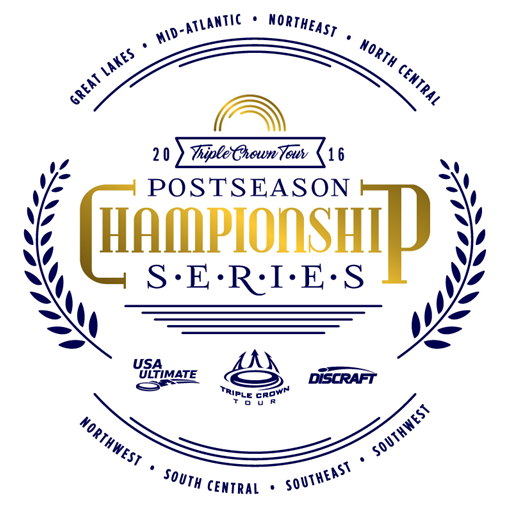 Sure, seed numbers can be found with some clicking into bracket play, but - just like score reporting - the more provided context of ultimate tournament results, THE BETTER. The specific context is providing an understanding of how teams performed (final results) compared to its preliminary ranking (seed). Here are snapshots of how posted tournament results can be improved. 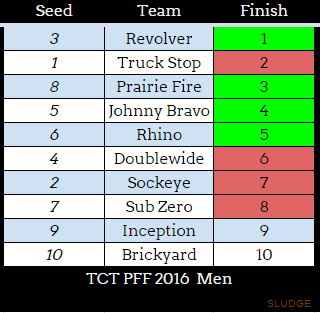 Displayed are the same 1-to-10 final results (right column) including the teams' seed (left column) plus a visual indication (green = broke seed; red = finished lower than seed). 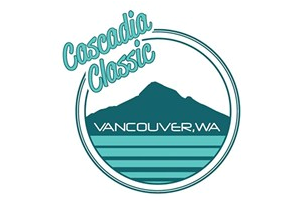 Any other ways to improve posting of tournament results? Please share. 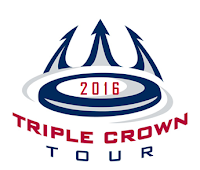 A total of thirteen (13) club ultimate teams have already won prize money totaling $18,750 during the 2016 Triple Crown Tour regular season. 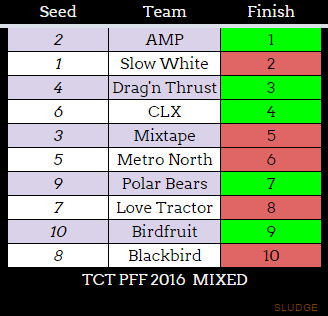 Four (4) teams have multiple TCT prize-money wins - Riot, Brute Squad, Slow White and Truck Stop. Still up for grabs is $3000 in each division for a win (1st) or place (2nd) at Nationals. 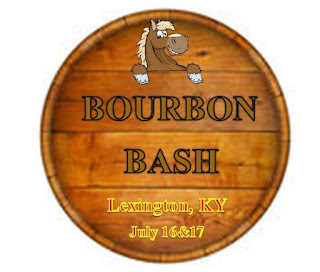 NOTE: No club team is eligible for winning the $2000 Triple Crown "bonus" since the same team has not won U.S. Open and Pro Flight Finale. 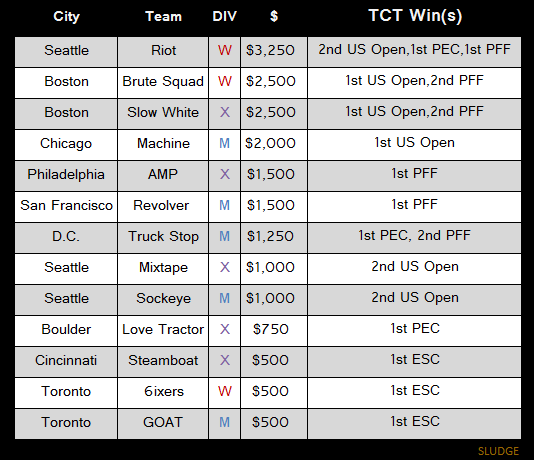 RELATED: 2015 TCT prize money. Today and tomorrow is Slurpee ‪Bring Your Own Cup Day (#‎BYOCupDay‬)! Bring your own cup* and enjoy a Slurpee at 7-Eleven from 11am-7pm! *PSA: Do not bring an ultimate disc as your oversized cup for the slushy frozen carbonated beverage. 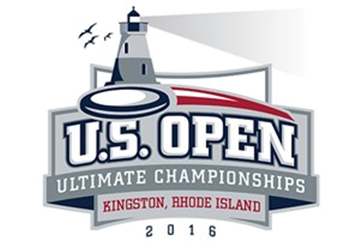 A regulation 175-gram, 10.75" ultimate disc exceeds 7-Eleven's 10-inch cup restriction. USA Ultimate's final regular season event of the 2016 Triple Crown Tour is happening in Vancouver, Washington this weekend. 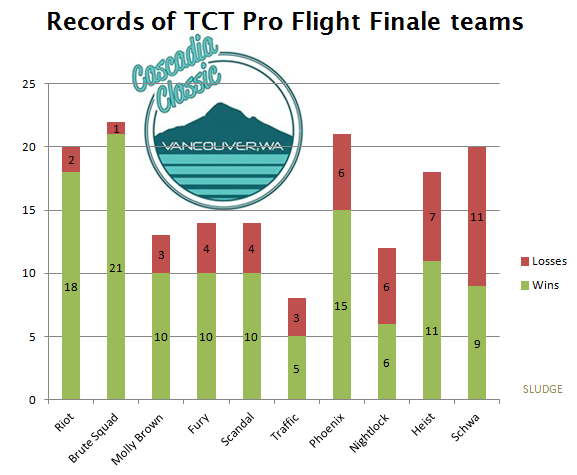 Here's a snapshot of teams competing in the women's division at the Pro Flight Finale. Where is Unfair Advantage in Wear? The Most Expensive Frisbee Isn't a "Frisbee"